Issue # 7 Release this Saturday! This Saturday we will be releasing issue #7 at Past Times at Rusty Ranch in Gilbert AZ. Come grab a magazine and enjoy some great rides, music, and much much more! Where else in the valley can you catch a car show, a classic “flick” and pick up some vintage goods? A rowdy outdoor affair with classic cars, a drive-in movie, food trucks and a live band, and there will be plenty of fun for the little ones as well, thanks to a bounce house and other kid-friendly fare. A vintage market promises great shopping opportunities for fans of the handmade and hard-to-find, and an expansive array of other old-time activities are designed to appeal to folks and families of all ages. VIP ticket purchasers over the age of 21 get food and beer tickets, even further guaranteeing a great time, so come down and take things back to the good ol’ days while supporting a great cause at the same time. For the sixth year in a row the Hell City Saints Car Club will be offering blessings for sacramental protection for all pre-1965 American made classic cars, their drivers, and their riders. Hot rod, classic car, and music enthusiast from all over the southwest region descend into Historic Downtown Phoenix, Arizona on the first Saturday in November for what has come to be the most anticipated car show of the year. As always, this show is packed with hot rods, classics and customs. It also features great live music from top acts as well as unique vendors and quality artists/pin stripers to meet all of our attendees’ needs. This Saturday we will be releasing issue #5 at the Rhythm Room in Phoenix. Car show hosted by the Bomb Squad C.C. Raffles, Giveaways, Models, Art, and much much more! LowView at Port Nationals Kustom Car Show in California! 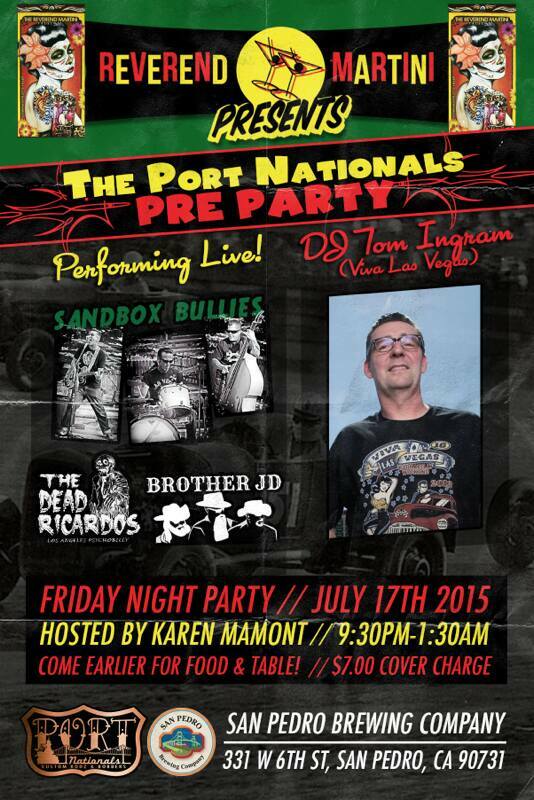 We will be heading out to San Pedro CA this weekend for the Port Nationals Car show. Stop by the booth Saturday July 18 and say hi! 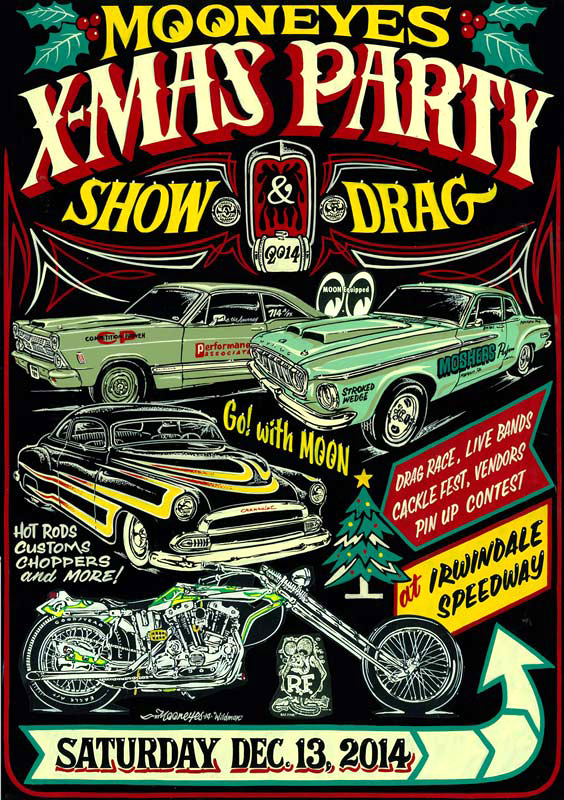 MOONEYES XMAS PARTY Show & Drag this weekend! 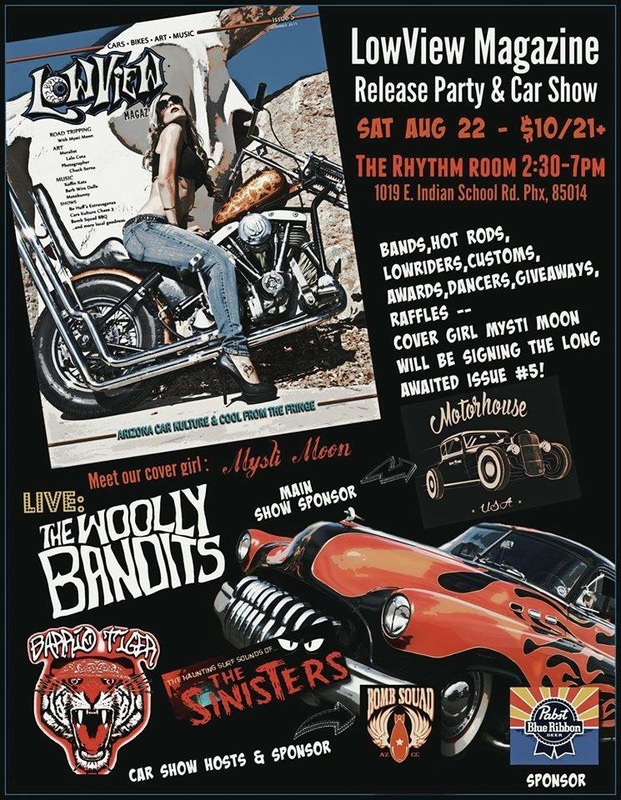 We’ll be at the famous Mooneyes Xmas party this Saturday, with magazines, new merch and our gorgeous rockin’ cover girl, Christa Collins, front lady for LA’s Woolly Bandits and Motobunny! Come visit our booth and get you’re copy(ies) signed! She’ll also have their new killer EP for sale as well. It’s gonna be a blast!! ISSUE 4 RELEASE THIS SATURDAY AT BLESSING OF THE RODS!!!! 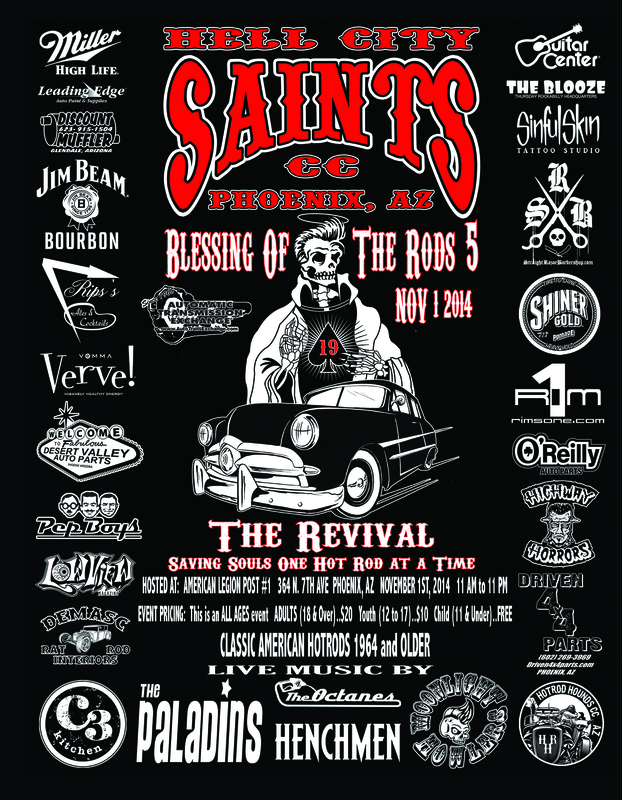 For the FIFTH year in a row Nearly 1,000 hot rod, classic ,kustoms,music and culture enthusiasts and over 250+ PRE 1965 American autos and bikes from all over the Southwestern U.S., descend upon Phoenix, AZ for the HELL CITY SAINTS Car Club annual BLESSING OF THE RODS! LowView will release it’s 4th issue. This is our one year anniversary. It is hard to believe one year ago we released Issue #1 at Blessing of the Rods 4. 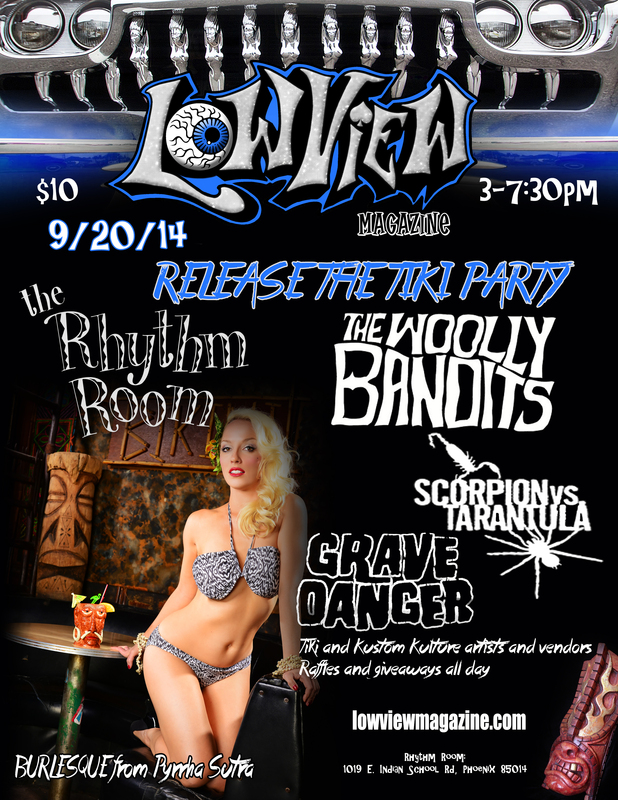 LowView Release the Tiki Party!!! 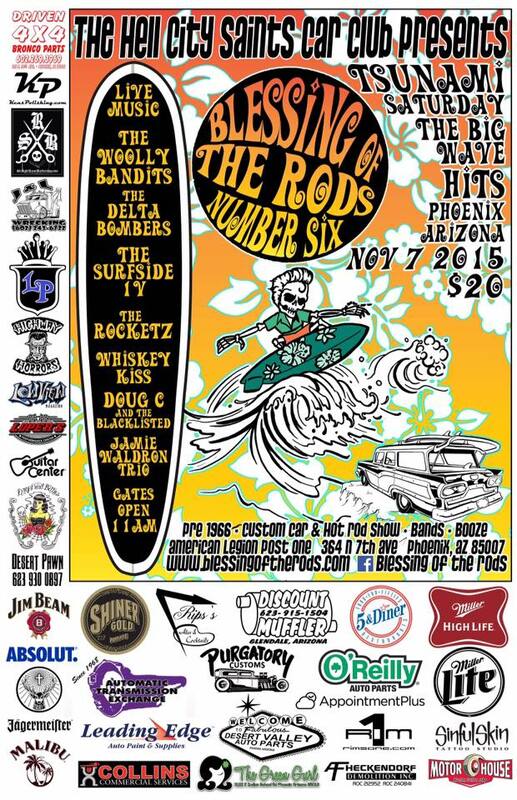 Tiki and Kustom Kulture artists and vendors! Raffles and giveaways all day!